Folder Backup for Outlook screenshots. 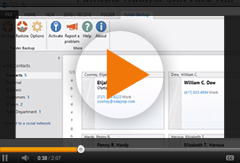 Instant Microsoft Outlook folder backup. 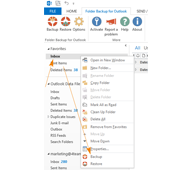 The Folder Backup for Outlook buttons are added to the Outlook toolbar. 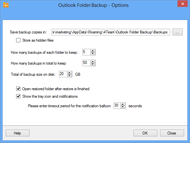 Right-click selected Outlook folder to access the backup button. 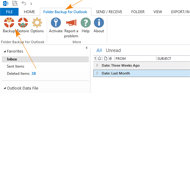 Folder Backup for Outlook options are active only using Pro Edition. 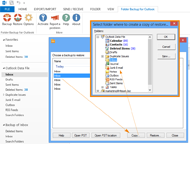 The backup list is sorted by time, so it is easy to find the right backup to restore. 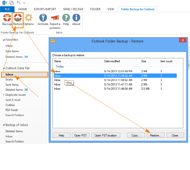 Copy the selected folder backup to another Outlook folder.